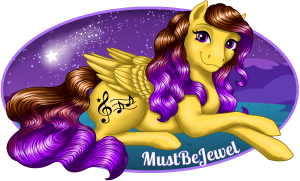 This forum is for customizers to share photos of the custom My Little Pony items they have made. The Customs forum now has an option to add a prefix for your customs for sale. When creating or editing a thread, simply select "For Sale" in the prefix drop down menu to mark your thread as having customs for sale. You may cross-post any custom sale threads in the Want to Sell, Want to Trade, or Auctions forum. A moderator can also copy your thread to these forums by request.